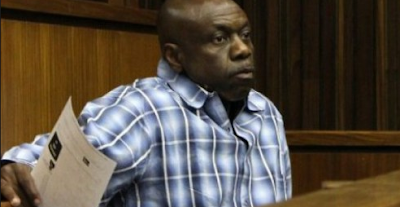 Charles Tombrah Okah, the alleged mastermind of the 2010 Independence Day bomb blast that left twelve persons dead at the Eagle Square in Abuja, was on Wednesday, sentenced to life imprisonment by the Abuja Division of the Federal High Court. According to Vanguard, in a judgment that lasted over fives hours, the court equally found Okah’s alleged accomplice, Obi Nwabueze, guilty and also handed him a life sentence. Justice Gabriel Kolawole who handed them the sentences, held that oral and documentary evidence the Federal Government tendered before the court, connected the defendants to the October 1, 2010, bomb blast. He held that the prosecution proved the terrorism charge against the defendants beyond every reasonable doubt. The court said their was evidence that convicted former leader of the Movement for the Emancipation of the Niger Delta, MEND, Henry Okah, released funds the defendants used to purchase cars that were used to detonate bombs in Delta State on March 15 and in Abuja on October 1, 2010. While the court noted that two out of six cars that Henry ordered to be purchased, a Mazda 626 and a Honda Hala, were wired with dynamites and deployed to the Eagle Square in Abuja, it stressed that evidence revealed that one of the cars was used for the bomb explosion that rocked a post amnesty programme that was organised by Vanguard Newspaper in Warri, Delta State. It found Charles who is younger brother to the ex-MEND leader and Nwabueze, guilty on five out of the eight count charges FG entered against them. Justice Kolawole maintained that the defendants failed to convince the court through credible evidence, that they were not involved in the acts of terrorism they were charged with. He said the defendants could not validly explain what the sums of N1.2million and N2million that Henry released to them in 2010, was used for. The Federal Government had in an 8-count terrorism charge marked FHC/ CR/186/2010, insisted that it was Charles that mobilised the other defendants. Whereas the Okah brothers were alleged to have coordinated as well as procured all the materials that were used for the attack, FG, told the court that it was the 2nd defendant, Nwabueze, that helped them to fix Improvised Explosive Devices, IEDs, in two cars it said were used for the bombing. In his judgment, Justice Kolawole held that evidence before the court showed that the 2nd defendant, Nwabueze, made himself available as a foot-soldier to be used for evil errands that earned him monetary rewards. The court observed that Nwabueze had in his confessional statement that was entered into evidence as Exhibit 2D1 to D9, admitted that he was contracted to construct special compartments in the cars where the IEDs were fixed.